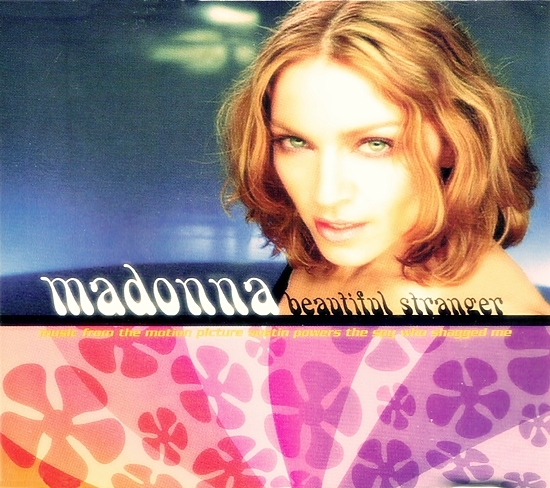 On July 24 1999, Beautiful Stranger reached its peak position of #19 on the Billboard Hot 100. This was based on the strength of airplay alone, as Maverick Records opted to boost sales of the Austin Powers: The Spy Who Shagged Me soundtrack album by not releasing the song as a physical single in the US. Had it been issued commercially, it would have easily given Madonna another Top 10 hit. The single was released in most major markets outside the US including Canada, Europe, Australia and Japan. Beautiful Stranger-Artwork is called and it is one of her best! Between 1995-2000, Madonna could do no wrong. Between Something to Remember and Music, Madonna was the best artist Rock had witnessed. Then 2003 and American Life hit like an angry storm cloud. Suddenly, Madonna’s life fell apart in pieces. However, remember this! Never count her out. As her friend Justin Timberlake rhapsodized in her induction to the Rock & Roll Hall of Fame-“Madonna-a Beautiful Stranger and a True Friend!” May it ever be so and may she reign forever! Oh, man. That (1995-200) is not even her best period (it comes after her best era had already ended). Never mind that Madonna was never the best artist Rock had witnessed. She never even rocked (hardly). Madonna is a top Pop artist….. That said, the video for Beautiful Stranger, schwings! And this blog here is a beauty. Cheers!